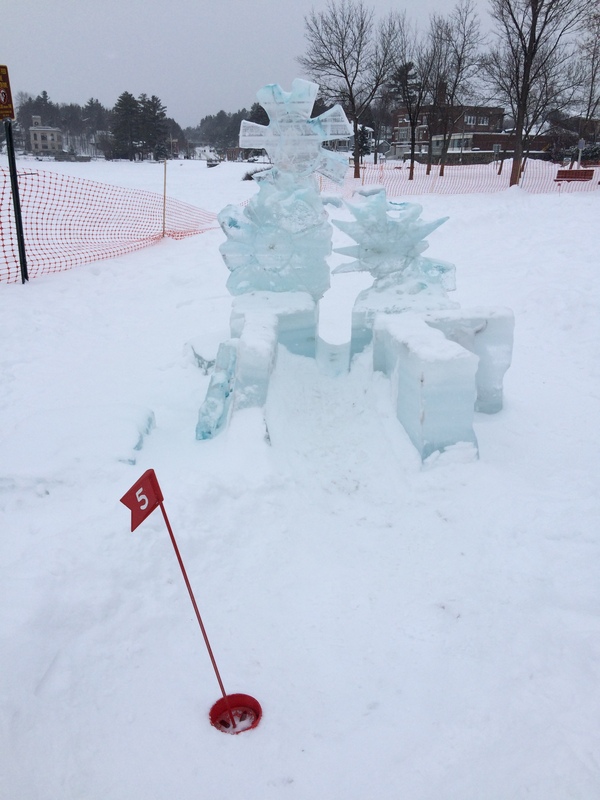 The 2015 Saranac Lake Winter Carnival officially started on Friday, February 6th, and will close on February 15th. The 10 days of festivities include some of the big events carnival goers love and expect, like the Ladies’ Fry Pan Toss, the Rotary Club Variety Show, and, of course, the Gala Parade. 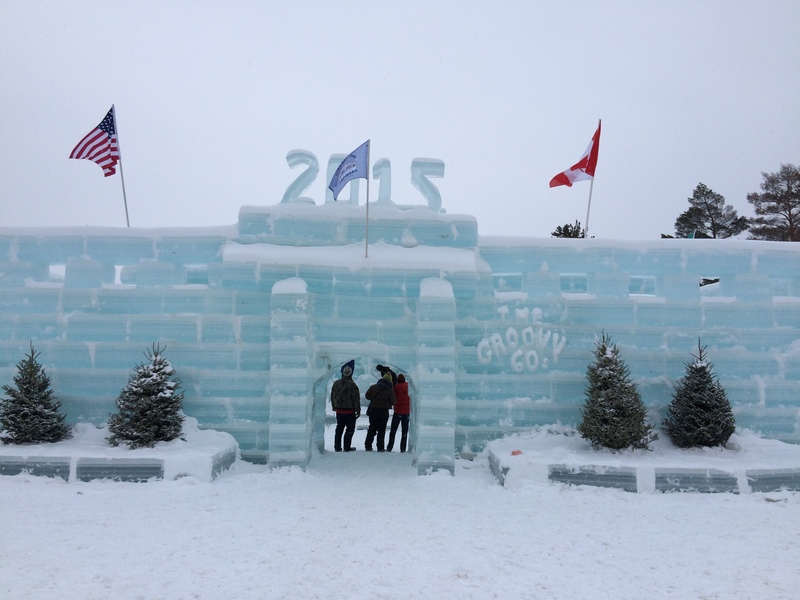 As always, there are some new additions to the schedule, including music and movies geared to this year’s 1960s theme, and, without fail, another new wacky Carnival event, one that involves rolling bowling balls across the ice. 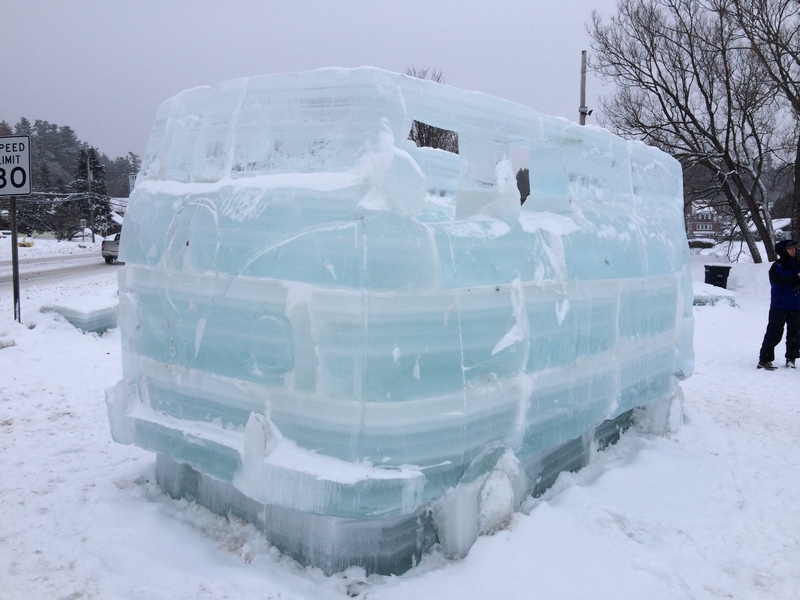 We spent most of the morning around the incredible ice castle, with gr eat additional ice sculptures (I really loved the ice VW kombi, straight from my hippie years). Then w e went golfing. Yes, Arctic Golf was added in the lineup last year, so you can play miniature golf on a course with obstacles made of snow and ice. A great way to spend time with kids! If you’re not fond of being outside with temperatures in the minus tens, you could still enjoy the multiple themed shows happening indoors at night. There are a lot of theme-specific events, like selections from “Hair”, the musical, or tributes by local performers to the music of the era in a show labeled as “Saranac Lake sings the Sixties”. And tonight is the “Get your 60’s Groove On” dance party at the town hall. What a great event! For more information, please visit the Carnival website. It’s been a while since we last hiked Phelps Mountain. But, as you know, there is a big difference between hiking and snowshoeing. So, yesterday, we embarked on a well-known path. How would it go? Phelps Mt. is named for Orson Schofield Phelps who cut the first trail up Mt Marcy. It is thus fitting that this peak whose view is so dominated by Mt. Marcy, is named after Phelps. It is probably the easiest high peak to climb from the Marcy dam area, and is good alternative for hikers who find themselves short of time. 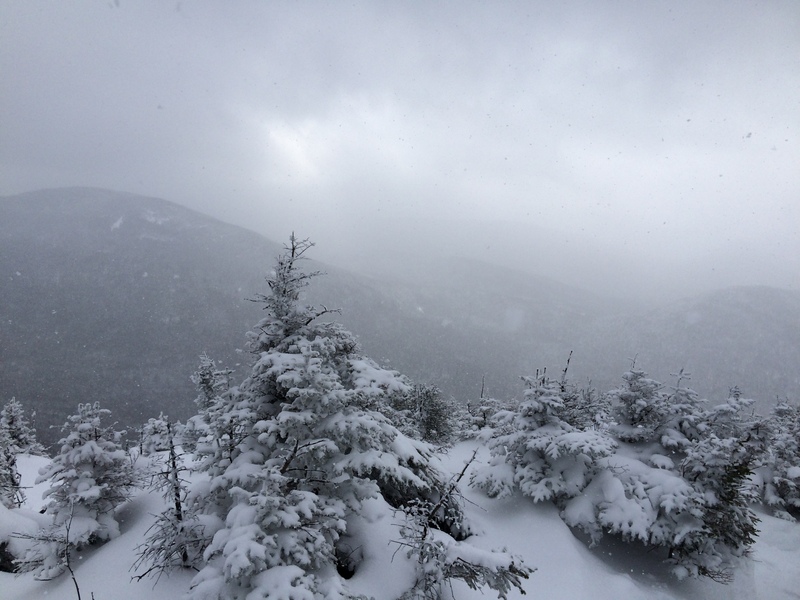 At a distance of 4.4 miles from the Adirondack Loj, we spent approximately 5 hours for the round trip, under some flurries and even some sunshine. No wind, temperature around -15F, that translated to an almost perfect winter day, out in the mountains. When we bought our townhouse, we spent countless hours discussing whether to rent it or not. You know, our Lazy Bear is more than just a townhouse. It’s our home, the place where we build incredible memories, for ourselves, our family, and our friends. So, at the time, we didn’t know we also could be a part of a special day for two of our renters, Leann and Eddie. When they visited our home, we were in the process of repainting every room, but they liked it enough that they wanted to book it for their upcoming wedding weekend. A few weeks later, we received this video from their wedding. Look at how perfect they look together! So, Leann and Eddie, thank you for letting us be a part of your special day. Congratulations, and best wishes on the start of something beautiful.